THEN – Downtown Orlando – Orange Ave., Circa 1920s – Facing north from the corner of Orange and Church. The building on the right is the Dr. Phillips Theatre which hosted silent movies and “talkies” as well as live performances. If you look down toward the end of the street, you’ll see the raised traffic tower at the intersection of Orange and Court Street. 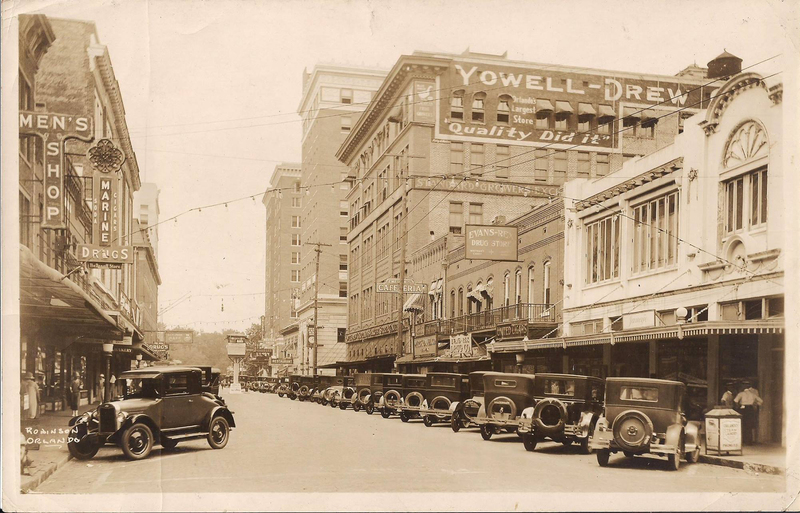 Downtown Orlando bustled with traffic and shoppers in the 1920s. You could order a new suit, enjoy delicious authentic Spanish cuisine and then catch a movie at the Beacham theater. NOW – All the shops and restaurants from 90 years ago are long gone as are many of the buildings that held them. 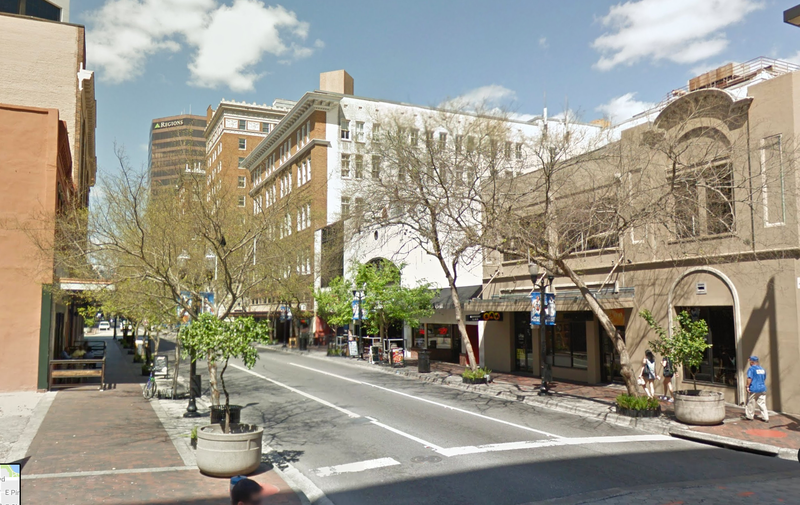 While downtown Orlando is experiencing another period of growth, it may never read the level of splendor that it saw from the 1920s through the 1950s.